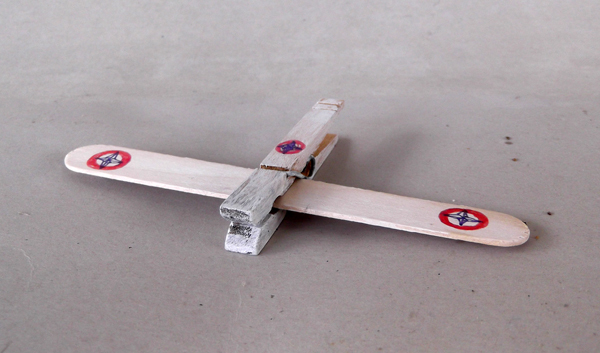 This is probably the easiest airplane craft. 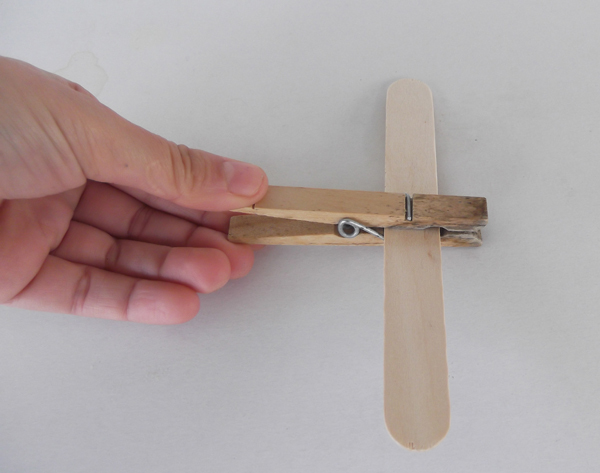 All you need is a wood clothspin and a wood popsicle stick. 1. 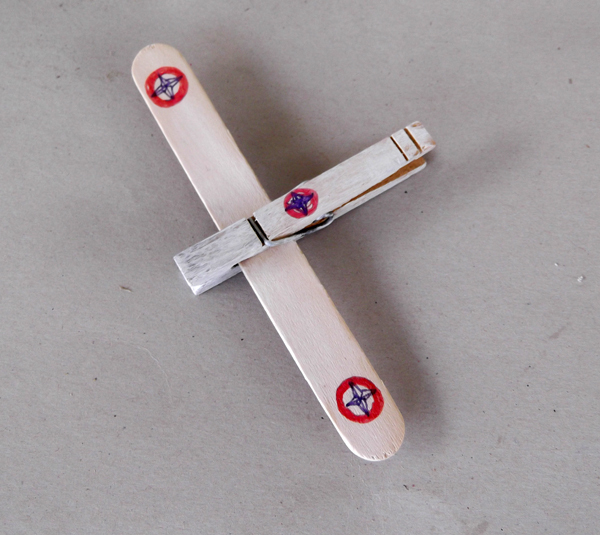 Get a wood clothspin and a wood popsicle stick. 2. Open the clothspin and put the woodstick inside. 3. 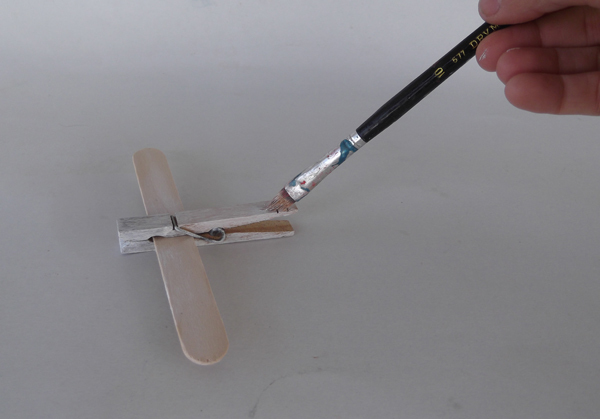 Paint the airplane with white watercolor paint. 4. Once dry, draw with pen markers air force symbols.